I'm off for the Thanksgiving holiday — my favorite time of year. I'll be hanging out with family and friends, and hope that you do the same. If you haven't already, now is the time to set ground rules for your family's holiday gift exchange. Will you be drawing names? Setting price limits? Giving gifts only to children? Be sure everyone's on the same page for the Christmas season. Holiday bonuses will soon be appearing in paychecks everywhere. I recommend spending a few minutes to decide what to do with the money. You don't need to set a budget — though it couldn't hurt — but at least make a plan for spending and saving. Also, now's the time to decide whether you'll join the fray on Black Friday — or opt out by making it a “buy nothing day”. 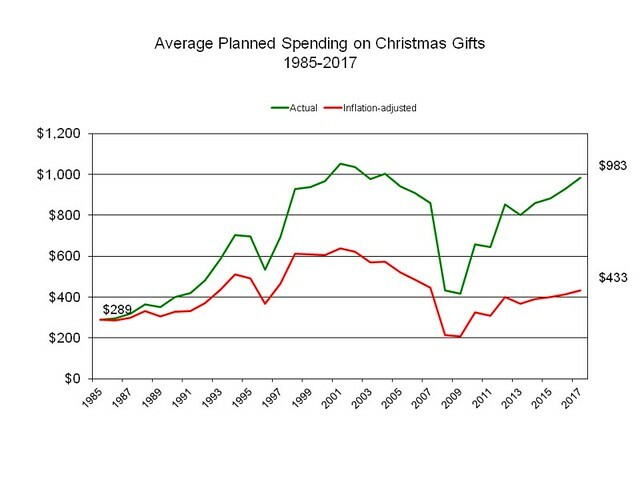 A new study from the American Research Group shows that “shoppers around the country say they are planning to spend an average of $983 for gifts this holiday season” — the most since the start of the Great Recession. While some of my friends subscribe to the “take the day off to find bargains on Black Friday” school of thought, I've traditionally sided with another camp. 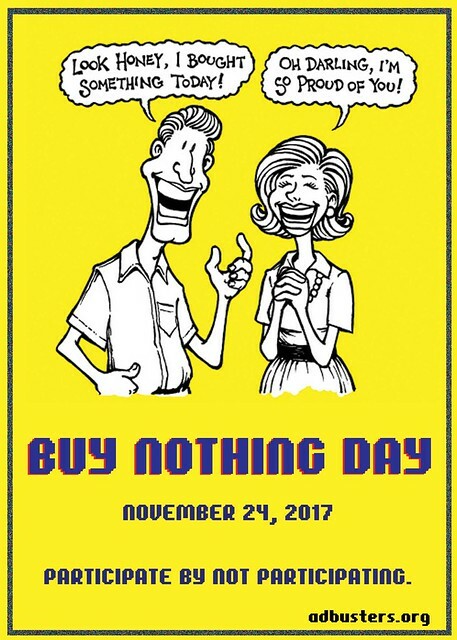 On the day after Thanksgiving, I observe Buy Nothing Day. For the past 20 years, I've elected not to shop on Black Friday. It's one way for me to avoid consumerism. I don't begrudge others their bargains and shopping fun, but I choose not to participate. This year will be no different. Regardless which path you plan to pursue — Black Friday or Buy Nothing Day — please spend responsibly. Buy only what you need and can afford. Don't be lured into impulse purchases. 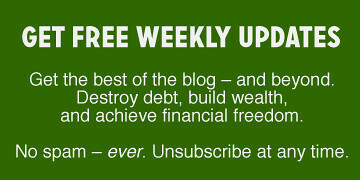 Avoid debt. And most of all, enjoy the spirit of the season. Have a safe and happy Thanksgiving. I'll be back on Monday.